Designer Robert Trent Jones Jr.
Ta Shee Golf & Country Club is a hilly and forest course is located in a naturally beautiful terrain embraced by mountains. With a total of 27 holes, the course consists of three sections: East, Center, and West Course. The West is the shortest one and relatively flat, and the East and Middle usually becomes the main 18-hole course that represents the club. 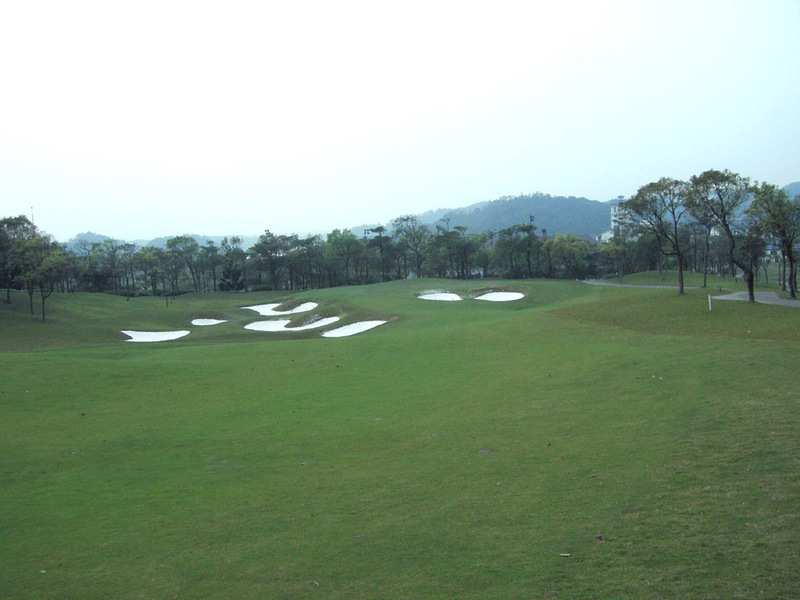 The ponds and the various deep bunkers are strategically placed, making the course challenging. Overall, this course is not only very well maintained, but is also enjoyable to play. It is regrettable that the greens are usually slow although the greens condition is not bad. The West is the shortest one and relatively flat, and the East and Middle usually becomes the main 18-hole course that represents the club. The ponds and the various deep bunkers are strategically placed, making the course challenging. Overall, this course is not only very well maintained, but is also enjoyable to play. It is regrettable that the greens are usually slow although the greens condition is not bad. The opening hole is a par five with a lightly bending dogleg to the left. When players look at the green from the teeing ground, the dense mountains look imminent. They feel as if they are driving in the mountains. The strategically placed bunkers throughout the hole will provide challenge for most players. The second is a beautiful over-a-pond par three. Players will have to accurately land their ball on the green that is surrounded by a pond on its left side and two bunkers to its right. A gentle downhill straight par four. After players cross the pond, they will encounter a downhill fairway slope. The green is narrow and is guarded with bunkers on both sides. A signature hole in which an OB line runs along the right side. The landing area on the over-a pond tee shot is protected by bunkers left and right. The green is blind on the approach due to the uphill slope. The seventh hole is a straight par four with a pond reachable 290 yards off the tee. The second shot is over the pond. A long par three. The bunkers on both sides of the green are designed as if it were both wings of a seagull. This would usually be the 18th hole at professional tournaments. The 10th hole is a relatively straight hole with a gentle uphill slope. The three-step green with concaved center is surrounded by deep bunkers. A beautiful and straight par four. There is a pond that digs into the fairway at about 210 yards from the tee. With an uphill second shot, players must spin the ball to avoid a large bunker that guards the front side of the elongated green. The 15th hole is a par five that bends both to the left and further to the left like a crescent moon shape. The fairway bunker at the left comer is reachable about 260 yards from the tee. An accurate approach shot is needed as the green’s shape is upturned saucer. This over-a-lake par three has an astonishing and charming beauty. Players should watch out of the three green-side bunkers skillfully placed. It is about an hour drive from Taipei city and a forty-minute drive from the Chiang Kai-shek International Airport to get to the Ta Shee Golf & Country Club. Players can book their play through a travel agency / internet golf reservation company. 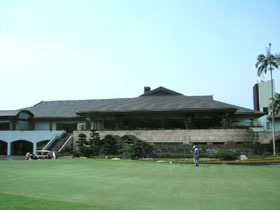 In a 2005 edition of the Asia Golf Magazine, the course was selected one of the best golf resorts in all of Taiwan The hotel has an outdoor hot spring bath. In 1999, the European Johnnie Walker Classic was held at this course in which legendary golf player Tiger Woods competed. Large-scale course renovation and improvements were made for this competition. The length of 7150 yards are only for pros, and the maximum length for armature players are 6653 yards. 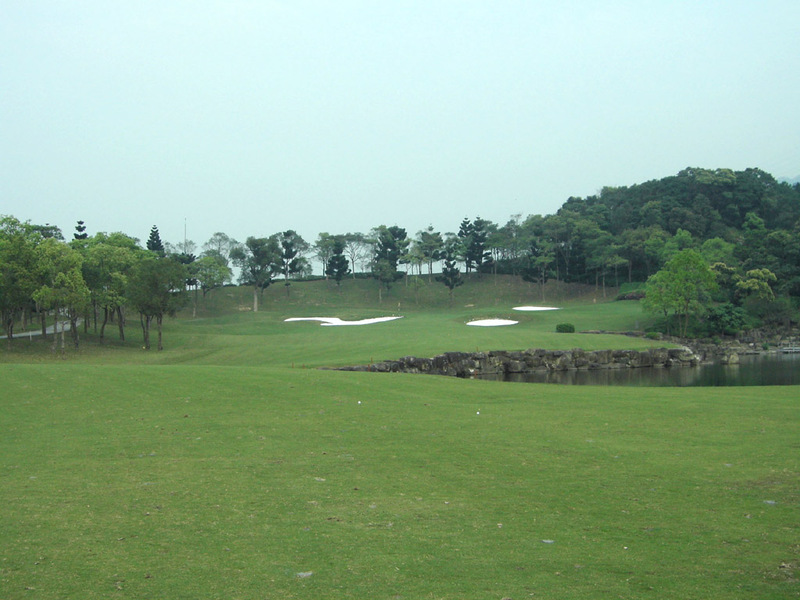 Another Taiwanese course that is designed by Robert Trent Jones Jr. is Sunrise G&CC.